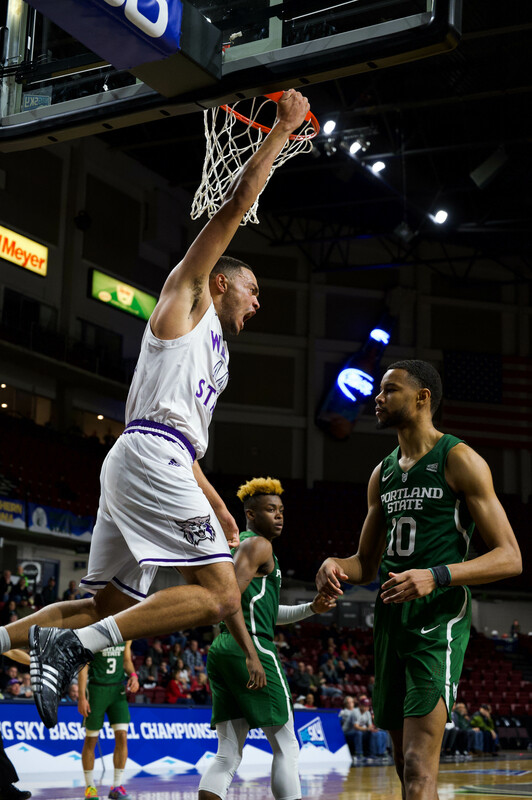 In a tight back-and-forth game, the Weber State University men’s basketball team was hurt by small mistakes down the stretch as it lost its second-straight game, this time against the University of Montana. The Grizzlies took a 74-72 win over WSU. WSU head coach Randy Rahe said the team played hard throughout the game, but just wasn’t able to come away with the win in Montana. Davion Berry and Frank Otis led the Wildcats with 17 points each. Will Cherry opened up the scoring for the Grizzlies with a driving layup one minute into the game. Otis quickly answered back to tie the game. The opening minutes of the game were back and forth, with the teams trading buckets. Otis made a nice play five minutes into the half, cutting in from the wing and hitting a reverse layup to give WSU a slight lead over the Grizzlies. With 14 minutes left in the half, the Wildcats were able to open up their lead, pushing their advantage over the Grizzlies to eight points. The Wildcats shot well in the first half; with 11 minutes remaining in the half, WSU was 8-11 from the field. The Grizzlies started to mount a comeback and, with seven minutes remaining until halftime, they had cut the WSU lead to four. With six minutes remaining, the Grizzlies were within one point of WSU. With four minutes remaining, the Grizzlies regained the lead with a three to go up 31-29. The Grizzlies went on an 18-5 run late in the half. At the break, the Wildcats were able to regain the lead, taking a 36-35 lead into the break. 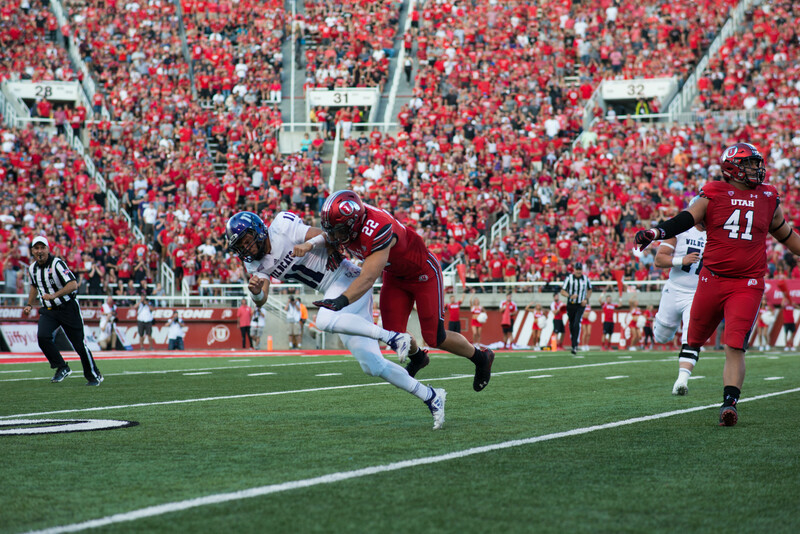 Early in the second half, momentum swung UM’s way. The Grizzlies regained the lead, and Kyle Tresnak was called for his third foul of the game. WSU kept the score close, however, and was able to tie it at 51 with 12:45 remaining, but the Grizzlies regained the lead. As the half wore on, UM extended its lead and tried to pull away, pushing its lead to six points with 10 minutes left. The Wildcats were able to close the gap, and, with five minutes remaining in the game, WSU was down by three points, but wasn’t able to capitalize on the momentum swing. UM pushed its lead back to five with 4:45 left in the game. WSU then went on a five-point run to tie the game with 3:30 left in regulation. Despite tying the game, the Wildcats were plagued by mistakes down the stretch. Multiple times in the final two minutes of the game, WSU turned the ball over and missed scoring opportunities. With three seconds left, WSU had a chance to win after UM threw the ball away on an inbound pass. Berry took the ball down the court and attempted a half-court shot, but it fell short. Rahe said turnovers hurt the team late in the game. There was a post-game scuffle as the game ended, with some shoving on the court during the post-game handshake. Now the Wildcats will stay on the road, traveling to the University of North Dakota on Thursday, then the University of Northern Colorado on Saturday to wrap up their four-game road trip.